Do you ever find yourself in a store or front of a computer and confused about which item you should get? I am not surprised if you encounter this when you need to buy RV tires because there are tons out there that claim to be good. Well, you are in luck because after you are done reading this, you will know exactly which one to get. You need to save yourself from the frustration of having to look at a thousand choices. There are only 5 products here, but if you choose one of them, you will be happy. In addition, you will learn about the considerations you need to make so that every time you need to buy RV tires, you will know how to choose. 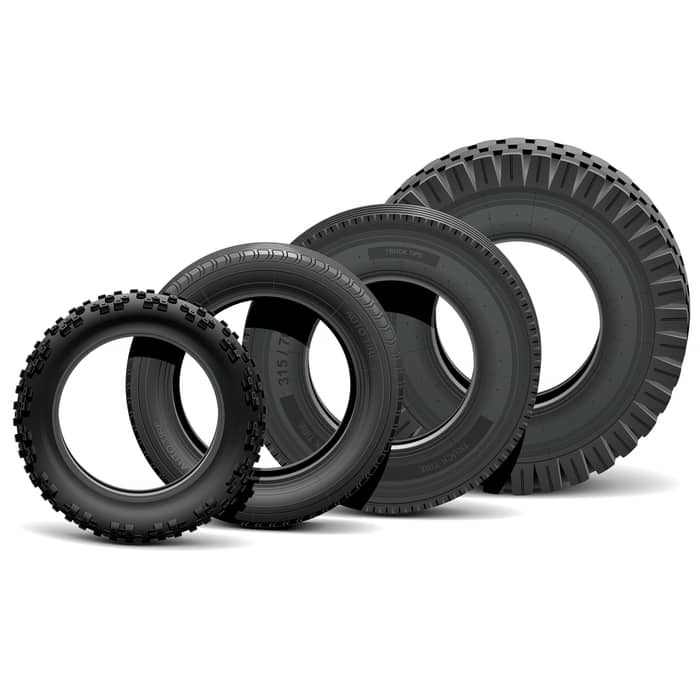 It is acceptable to use truck tires and they are less expensive, but RV tires are specifically engineered to give you a quiet and smooth ride that truck tires cannot. 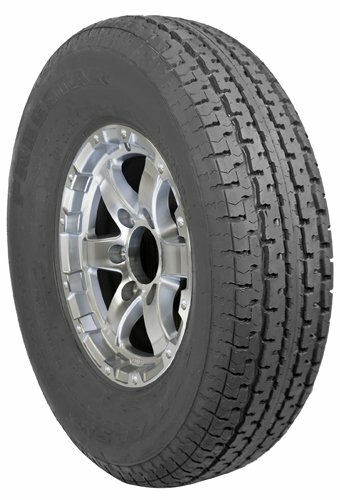 Aside from that, these tires are constructed to meet the expectations of RVers, like longer storage periods. A lot of RV tires also include additional antioxidation in the compounds they have to lessen dry rot, as well as cracking due to weather. Based on the type of roads you drive on and the weather, you might need to use tires that have various tread designs found at the rear and front. In a variety of instances, a highway tire’s performance is best seen at the front because this kind of tread gives the lowest resistance rolling and wear characteristics. The average weight of a motorhome is at least 20,000 pounds and needs about 6 to 10 large-sized tires. For you to save money, there is a tendency of you buying tires that are a little small than the required size or an unknown brand. The thing about this is that when you install cheap tires, there is a possibility that the size and weight do not match the coach or was poorly made. If you look hard enough, there are decent and reasonably priced RV tires that are perfect for you and you will be safer to use them. There are different RVs and each type requires a specific tire they use. This is when you need to consider the size because RV trailer tires are not the same as motorhome tires and if you have a truck, it needs a different set of tires as well. Aside from the tires, you need to take note of the RV rims and the size of the RV wheel. The best trailer tires are not marked as the best for your motorhome. You need to make sure that the tires you get are only for the type of RV you have. In any size, the more load range there is, the heavier weight it can carry. The weight of the tire is dependent on the size and tire construction, and even the inflation. Generally speaking, the tire’s maximum capacity on the coach has to meet or go more than the highest rating of the RV. The wheels should meet or have more than the rating. Motorhomes are known for not having an equal weight distribution because of slide-out rooms, loading, tank locations, and others. That is why it is recommended that the tires are able to have their own wheel weight so that it will be balanced. This is to make sure that every tire’s load is proportionate and is accordingly inflated. The design of older tires was constructed with either a diagonal or bias-ply material, and the modern ones are made using radial construction. The inner belts that are radial go over the tire in a perpendicular manner, and they can have lesser rolling resistance that lasts longer compared to bias-ply designed tires. The radial tires also have a lower rolling resistance that lasts more than bias-ply tires. You will see codes on the sidewalls and the ones you need to take note of are the location and date of manufacture. If there are 12 numbers, it is the U.S. Department of Transportation or DOT identification number. The plant code is the 1st 2 numbers so you will immediately know the location of manufacture. The year and the week when the tire was made can be identified by looking at the last 4 numbers. For instance, if the DOT ending is 3416, it means the tire was manufactured on the 34th week of 2016. If you want to know the service ratings, look for 2 numbers that are followed by a letter, like 77S. The number 77 can be found on the specifications of the manufacturer so you will know the rating of the load, and the letter will tell you the speed rating either in kph or mph. Tires are made to carry a specific weight based on their inflation pressure. The inflation rate found on the sidewall or passenger is the maximum, which is important at the peak of rate loads. The tire pressure should never be reduced just for the sake of having a softer ride because this can lead to catastrophe. A good tire gauge is always necessary and if the vehicle has 2 wheels at the back, make sure there is an offset double head long enough to reach the dual-tire valves inside and outside the tires. If there is an increase in the tire pressure, the temperature will do as well. If the increase is 180 degrees Fahrenheit, the internal pressure of the tire will go up by 0.7 psi. The pressure reading is also affected by altitude changes and if the trip begins at sea-level, a 5,000 feet elevation measurement would mean a 2 to 3 psi increase. This only includes the tires and no wheels, which have a rating of 10 ply. The tread compound design is advanced in order to lessen the rolling resistance for better fuel economy and extended tread life. The construction is double-belted steel to add strength and stability while towing. There is great shock absorption while it gives an excellent performance in handling load. The weight of the tire is 5 pounds with the measurements of 28.3 x 28.3 x 8.9 inches. The maximum weight capacity is 2,540 pounds. I will definitely buy these tires again because they last longer than most good brands and I am guaranteed a safe ride every time. I highly recommend it to anyone who is looking for long-lasting and durable tires. The ply rating of these tires is 8 and they did a design that has an updated tread compound so there is not much rolling constraint for better fuel economy, as well as better tread life. There is added strength and towing stability because it was constructed using double-belted steel. The shock absorption is awesome because it gives a top performance in load-handling at the same time. The weight is 27.5 pounds and the dimensions are 27.1 x 27.1 x 8.1 inches. The maximum weight capacity is 2,150 pounds. These are great tires that you can buy because they do last long and they can run for 2,000 miles without any issues. I recommend these tires to anyone who likes to take their RV to far places. These tires are for short and long-distance trips with trailers, b﻿﻿﻿﻿oats, utility, cargo, and towable RVs. Wheels are not included with a maximum weight capacity of 2,150 pounds. These tires can be used almost any brand of RV. The weight of the item is 20 pounds and the dimensions are 27.1 x 7.8 x 27.1 inches. The brand is 100 years and known for the track record the company keeps and the warranty lasts for 2 years. The tires are manufactured in Asia, Europe and the USA. If you are on a budget and want tires that guarantee you a smooth ride, this is for you. I have not encountered any problem with them so far and the psi is 65 which is great. The weight rating of these tires is 1,820 pounds and only meant for RV use. The ply rating is 8 and the size of the tire is ST205/75R15. The weight of the tires is 24 pounds and the dimensions are 27.1 x 27.1 x 8 inches. The tires can fit a rim with a diameter of 15 inches. You should get these if you want tires that cost half of the more expensive brands, and own a small camper or RV. These will hold up well and they are very nice looking. These are only tires and do not come with the wheel. The ply rating is 10 and weighs 28 pounds. The product dimensions are 28.4 x 28.4 x 8.9 inches. These tires can fit a rim diameter of 15 inches and can be used for caravans as well. The item can only be shipped within 48 states, but other sellers may have an option to ship to Alaska, US Territories and Hawaii. These tires are perfect for those who like to go on long drives using reasonably priced tires. They have never made me feel worried while on a trip because they can be used for more than 2000 miles without any issues. The products presented here are the best for their price range and it can be said that none of them are unreasonably priced because there are more expensive ones that claim to be the best. These tires can compete with those and if you need to replace them, they will not hurt your pocket. Now that you are no longer confused which tire to get for your RV, go ahead and purchase any of them.